Why use The Lodge Boarding Kennels? We are animal lovers AND we run a family business. We only have 6 secure kennels therefore we provide your pooch with more attention and love. 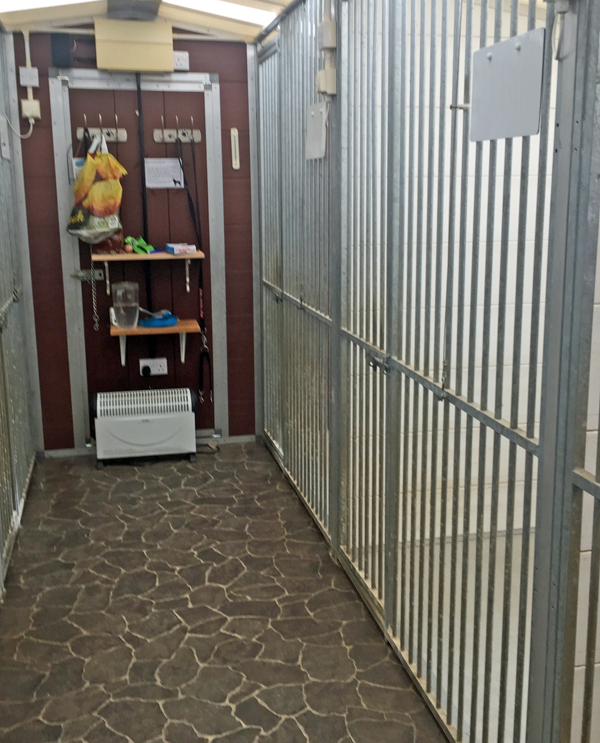 Our boarding kennels are immaculate inside and out. We really do exercise your dog 4 times a day in a secure exercise area and the last time at 9.30pm. Our kennels are individually heated when required and have large covered individual runs. We take pride in our kennels beings spotlessly clean. Vaccination checks are strict ensuring your dog is protected. We feed your pooch on whatever food you request. Background music is played throughout the day to ensure our boarders stay calm and relaxed. Our grooming parlour offers special grooming prices whilst your pooch is boarding with us, please click here to go to their website. For more inforamtion or questions you may have about our small friends boarding, please contact us by either telephone or by filling in our easy to use eForm. We look forward to hearing from you soon.